His birthday was celebrated in a leafy residential section of Bangalore, one of India’s more modern, connected cities. Thirty members of the prosperous Kuriyan clan milled about the cavernous apartment in the condominium complex they erected 15 years ago. Venerable tea and coffee planter, Ashok Kuriyan, the supremely confident, self-possessed managing director of Balanoor Plantations, was turning 65. He is a voluble, open-faced man with large, attractive features whose warmth and sense of humor are tethered to a remarkable laugh. The well-dressed and coiffed guests gathered around the buffet nibbling sumptuous Indian and Western dishes are all associates of the Kuriyan family enterprise. The Kuriyan family traces their lineage to the time of Saint Thomas; the Galilean apostle who sailed in the 5th Century to what is now the Malabar Coast of Kerala. He is said to have encouraged Brahmins there to adopt Christianity, and family forebearers were among the converts. They are known as Syrian Christians or “Nasrani,” and are a prominent religious minority present in south India today. Kuriyan family enterprises own thousands of acres of plantation land in Karnataka. One grows cut roses for export to Japan, Australia, and New Zealand; another latex sheets for rubber; areca or betel nut for pan; Arabica and Robusta coffee; black and white peppercorns, and cut timber. I tuck into an overstuffed couch balancing a morsel of creamy chocolate cheesecake in a crumb crust and a glass of chilled white wine in my lap as the family gathers around the table to sing “Happy Birthday” in Malayalam, then English. Meenu, Ashok’s wife, reads a psalm as sweet as dessert in her husband’s honor. Kuriyan sits next to me in a large wing chair conducting a monologue on the joys and travails of the tea business. A cooing granddaughter circles about his legs. 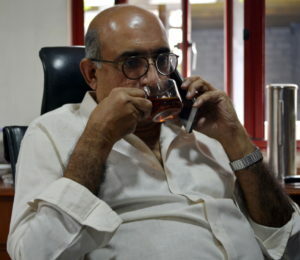 The reporter will be in India for two weeks; Ashok argues this is enough time to do a tea tour of the South. He stabs at the air in front of him as if it were a Google map, clicking his tongue when his finger arrives at a selected tea garden. 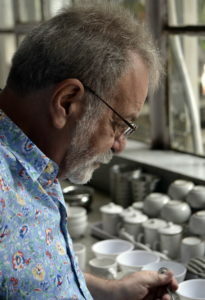 By the end of dinner he has laid out a tour of tea gardens and factories in rural Karnataka, Tamil Nadu, and Kerala. 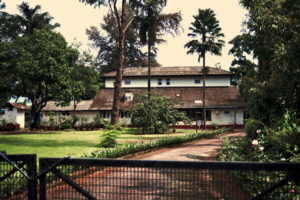 The United Plantation Association of South India (UPASI) and its members are to handle logistics, provide vehicles and drivers, charming visitors’ bungalows and home-cooked meals along the way. 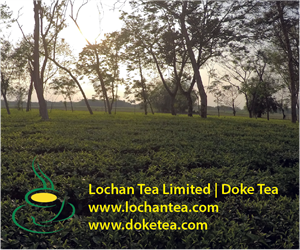 The itinerary includes winners of the organization’s 2017 Golden Leaf Awards: 12 tea estates in the Western Ghats, in twelve days. I later learn that only 5% will be the orthodox black teas I’m accustomed to drinking. We launch in early October with a four-and-a-half hour drive from Bangalore. We creep through traffic-clogged streets, cruise along modern toll roads, sail past emerald-green flats of rice to rutted single lane tracks which wind up to the cool, misty abode of tea and coffee, Balanoor Plantations, Chicmagalur, Karnataka. and roasted whole spices, layered with steamed Basmati rice. 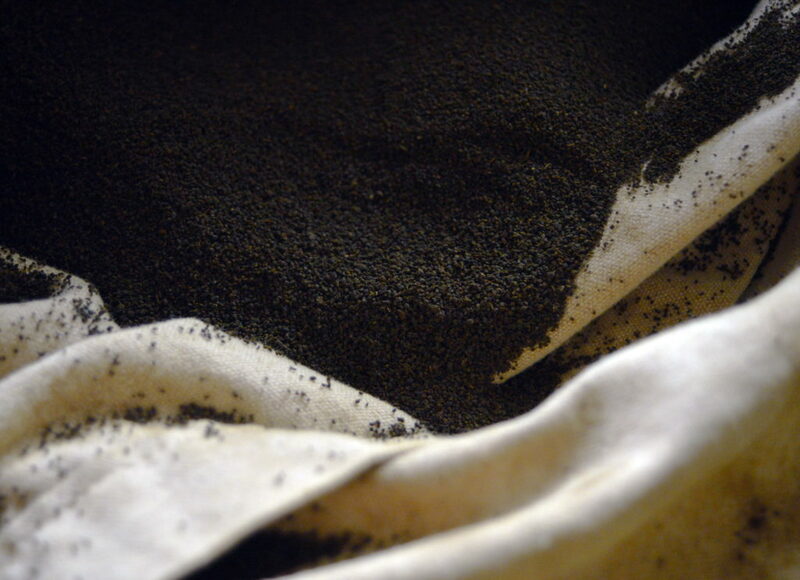 CTC processing begins with trough-withering, which is common to all black tea processing. However, in CTC, withered leaf is fed into a “rotorvane,” a large horizontal metal chamber in which whole leaf is compressed, macerated and extruded via small perforations onto a moving belt. The resulting mashed leaf, known as “dhool,” is conveyed to a series of high speed stainless steel rollers which tear and curl it. 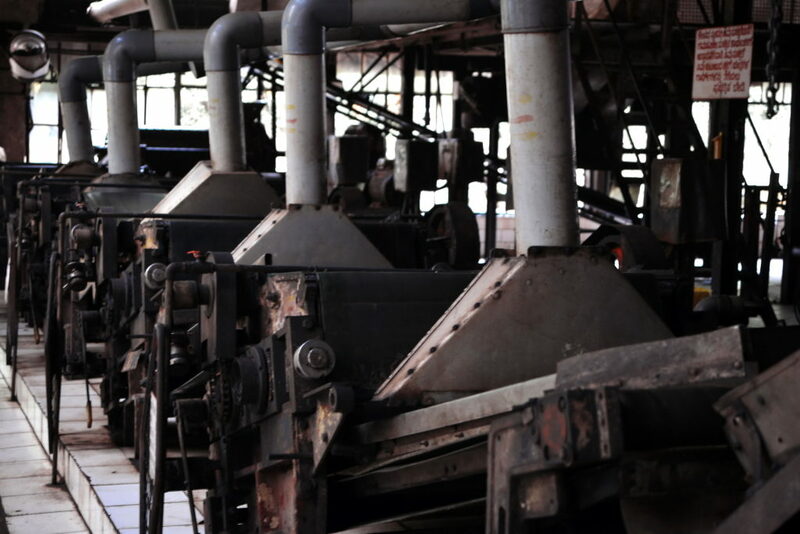 At the tail end of the conveyor belt the tea is fed into a revolving drum oven, where it is tumble-dried. 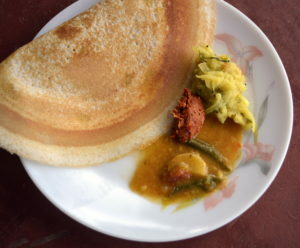 The next day, we enjoy a classic south Indian breakfast of masala dosa, a crunchy paper-thin rice crepe accompanied by chutneys and a vegetable sambar, before heading to the Balanoor tea factory. Built in 1894, the Balanoor facility is made of hardwood and steel sheathed in grayish corrugated sheet metal. Clusters of small-pane windows are arrayed along the front elevation ensuring natural light penetrates interior recesses. The office and tea-tasting room are centered on the ground floor at the entrance, where we park our truck and greet the factory manager. The plant was equipped with five massive Britannia orthodox tea rollers when it was acquired by the Kuriyan’s in 1936. In the 1960’s these were traded in for CTC machinery, enabling the factory to adopt the more modern “crush, tear, curl” method of tea processing. 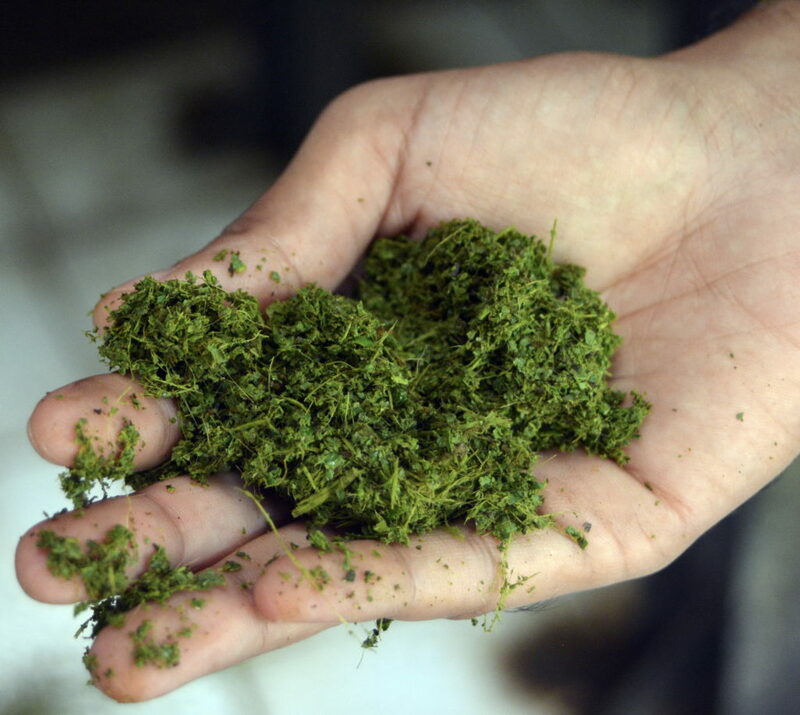 CTC and Orthodox processing have identical objectives: exposing tea leaf to oxidation, conditioning the leaf and drying it. Lipton’s genius has always been to set a flavor standard that works in the water available in its principal markets. The color is clean and brilliant, orangey, but not forbiddingly dark. The strength is not too thin, but medium-to-strong with an attractive briskness. There is a perceptible non-sugary sweetness and a light, acidic/saline touch to make it refreshing with a soft touch of sherry. 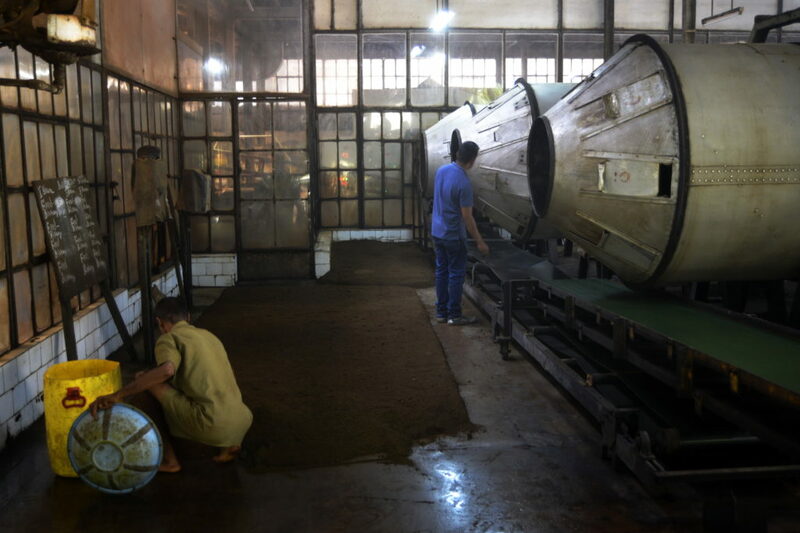 The physical process, however, differs greatly: the orthodox method involves precisely-timed manual intervention by skilled tea-makers, using a sequence of bespoke machines at separate stations to which the tea leaf is transferred by hand cart. 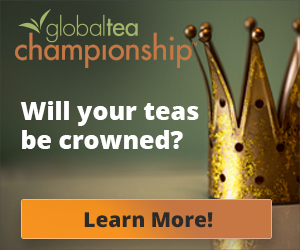 CTC processing uses a linear assembly line of machines and conveyor belts and requires no handling of tea leaf. 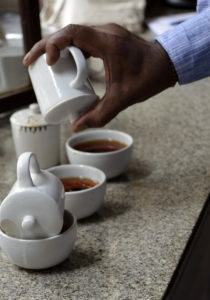 CTC cup yield per kilo is substantially higher than orthodox tea, an important consideration for value-conscious consumers and owners of tea stalls who engage in sock-brewing. The tea taster must transcend the astringency and heavy body to evaluate underlying cup quality. As I began to understand it, subtlety is not the point of CTC; body, strength and color complimented by whole milk and granulated sugar is. 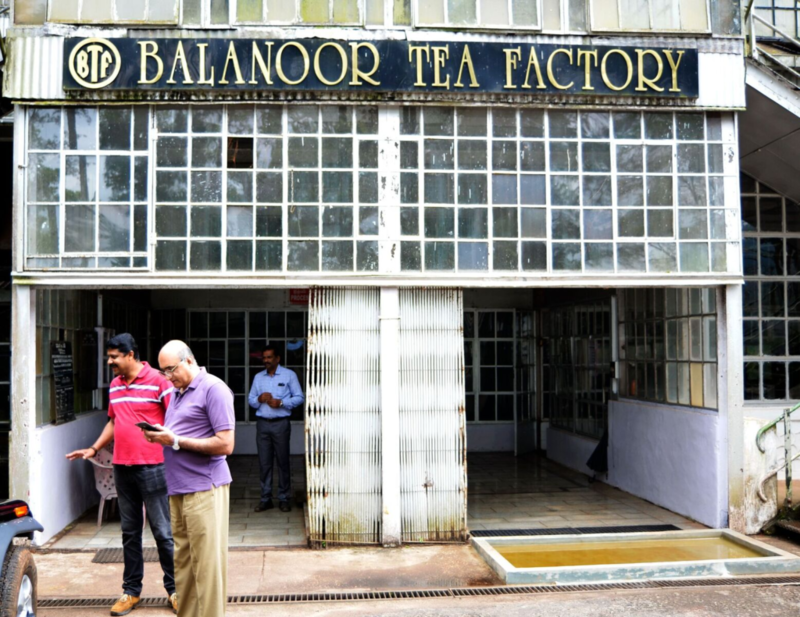 Following the tour of the Balanoor factory, Ashok ushered us into the tasting room where 25 CTC teas from his and neighboring gardens were lined up for cupping. 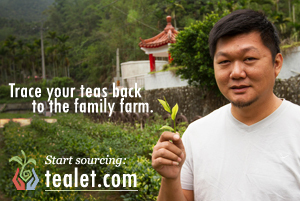 This is where I learned I had been over-protected for decades of cupping only orthodox teas. CTC’s can be mind-boggling. When you first taste a CTC you are reminded of your first tentative sip of coffee or liquor when still a youth. Cup strength and briskness are way off the flavor wheel. Some of the CTC’s in our tasting session were all bite and no boutique. A few were well-rounded, complex and refreshing when milked down and sweetened consistent with market dictates. 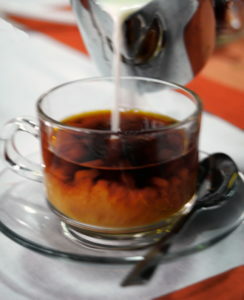 Very few presented fresh or flowery or spicy notes typical of orthodox tea. Cupping a CTC beside an orthodox tea with its subtle liquor, light body and comparatively low astringency level is like sipping a brandy followed by a Chablis or a raw Puer followed by a silver needle tea. Karnataka tea faces an uncertain future. There is an oversupply of leaf and fierce competition from CTC producers in other parts of India, especially Assam, where soil and climatic conditions produce superior CTC. Producers in the south also have significantly higher production costs than the north, notably for labor and utilities. Balanoor tea has survived thanks to Ashok’s efforts at updating facilities and machinery, following sustainable practices, such as planting and replanting shade trees, wisely managing water and waste, and placing controls on pesticides and chemical fertilizers, but it has proven difficult to compensate for market forces which have severely driven down tea prices. It is adverse to bitterness, woodiness, smokiness and all other unwanted defects as much as possible. In other words, it is sociable, companionable and inoffensive (to a fault). Fortunately, Balanoor Bean, Kuriyan’s successful coffee operation is able to subsidize the tea side, for now. 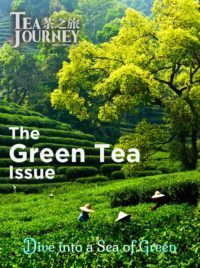 In the long run, however, it might take “reinvention” and radical change in line with market forces to save the tea subsidiary. Ashok’s driver arrived after breakfast on the fourth morning to transfer me from Karnataka to Tamil Nadu via the Western Ghats. I was reluctant to leave the warmth of Balanoor and the Kuriyan family, but hundreds of hot cups of south Indian tea, weak and strong, awaited me; someone has to taste them. Balanoor Plantations & Industries Ltd.